Only available in full sizes. Fits true to size, we recommend buying your normal size. Go up to the nearest whole size if you take half size. Shoe box and cotton pouch with leather string. Every pair comes in a “Kalliniki” branded shoe box. Inside you will find your complimentary “Kalliniki” cotton pouch. 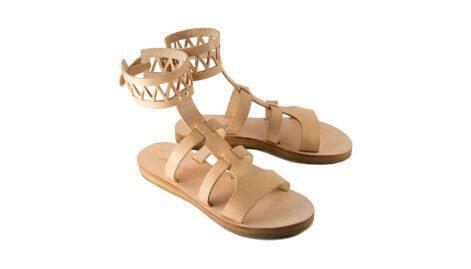 Hand crafted in Athens, Hellas. Sign up for our newsletter and receive a 10% off coupon code. Plus, you'll be the first to know about our new collections. kalliniki.com © 2019. 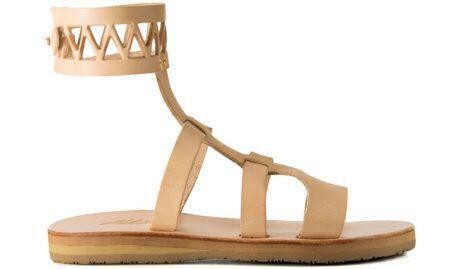 Sophisticated leather sandals.